Mon ami français Stéphane, a.k.a. 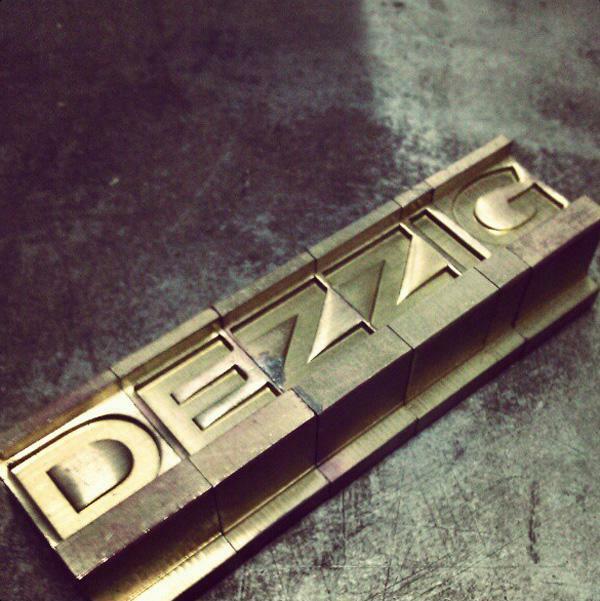 Zig (and proprietor of the fantastique design studio and silkscreen poster workshop Dezzig, wrote quite a flattering article about me and my letterpress tinkerings at the International Printing Museum. For non-francophone readers, it should be possible to get the gist of the article using Google Translate. Stéphane is a fellow amant de la typographie (“typographamant?”) and inventor of the “Poster Pant,” a brilliant device that allows poster-rich-but-frame-poor collectors like myself to hang and display their posters proudly and safely. Stéphane sells the Poster Pant online at his Artshop, and I have ordered several for myself (some of which I will be offering for sale along with some of my vintage posters at our space inside the collective vintage shop inretrospect, Long Beach, California. Speaking of France and letterpress printing (worst segway ever? ), I came across this article on French Wikipedia, which confirms that the term “cliché” is still used in French to refer to what we in English call a “plate” or a “cut.” The original French word apparently derives from onomatopoeia (though there is some controversy). I still think it’s fascinating that two printing terms, “stereotype” and “cliché,” have found their way into common English usage for completely non-printing-related reasons. In French, the better sentence is “amoureux de la typographie” (like typographic lover !). It’s all true. First a “cliché” is a photography… “prendre un cliché” = take a photo. In printing process, “cliché” is use for negatives and for films. 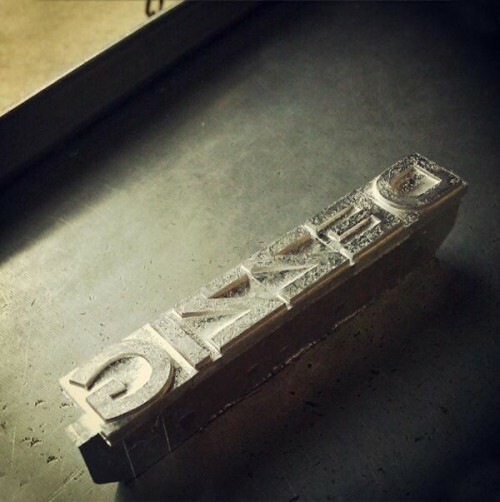 In typographic print pricess (only) “cliché” is a photopolymere plate or metal plate.